One important aspect of a text format's configuration is the set of filters that are turned on. Here we go down the list of possible filters that come with core Drupal and explain what each one does. We also explain what managed and unmanaged files are, since they come into play when uploading images via the Wysiwyg. Below this is a set of filters. 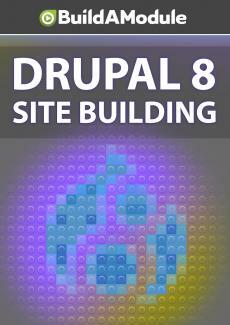 You can think of filters as a way that Drupal will process the content of this input as it's being displayed. This is a list of all the filters available, and the check boxes indicate that the filters are turned on. The first filter that's turned on is limit allowed HTML tags and correct faulty HTML. Now, if we scroll down we have some configuration for this filter. If we disabled the filter, the configuration would also disappear. So let's turn it back on. And this shows a list of HTML tags and also the attributes that those tags can use. So, for example, for an A tag or anchor tag, you can use the attributes href or hreflang, but all other attributes will be stripped out before the content displays. Now, the allowed HTML tags here and, if we scroll up, the buttons up here are connected. So if we added the underline tag here and we scroll down and we looked at our allowed HTML tags, I'm going to go the very end, it added the underline tag here for us. So this is a nice feature, but as you do some testing, you'll probably find there are situations where you modify the buttons up here and it doesn't change this down here. So it's important if you make any changes to the allowed HTML tags or to the buttons that you double check the other place. For example, if we remove the underline tag here, it's not going to remove it from the buttons up here. Let's take a look at the other filters and talk about what they do. So display any HTML as plain text will take any tags that are in the code and display it as plain text. So you'll see the brackets and the slashes and everything. Converting line breaks to HTML will take any new lines in the text and convert it to HTML break and paragraph tags.